Alex Masi was born in Venice, Italy where he studied at the Conservatory of Music in Verona. He formed the seminal Italian heavy rock band Dark Lord in 1983 and recorded two EPs with them. Alex Masi moved briefly to London in the early eighties where he played with several musicians belonging to the so called NWOBHM that was sweeping the country at the time. With Dark Lord he toured as opening act for several major acts of the period until 1986 when he was invited by Metal Blade Records to move to Los Angeles and join Sound Barrier, a promising up and coming band. With Dark Lord he toured as opening act for several major acts of the period until 1986 when he was invited by Metal Blade Records to move to Los Angeles and join Sound Barrier, a promising up and coming band. Things didn't work out with Sound Barrier and Alex was put in charge of his own band that at that point assumed the name MASI. MASI recorded two albums for Metal Blade/Capitol Records after which Alex decided to record solo material. The first solo album was "Attack Of The Neon Shark", which received a Grammy nomination for Best Instrumental Rock Album. "Attack Of The Neon Shark" featured several of Alex's friends like Frankie Banali of Quiet Riot, Allan Holdsworth, Jeff Scott Soto etc. 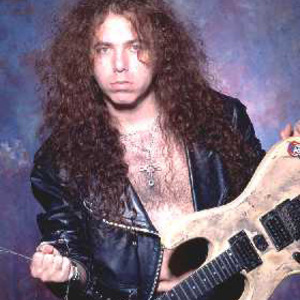 The second solo album was called "Vertical Invader" and it featured only Alex Masi along with drummer John Macaluso (TNT, Malmsteen). After that Alex Masi played and started several projects that never came to full fruition with people such as Rhett Forrester (Riot), Steve Bailey (Jethro Tull), FRankie Banali etc. "Tales From The North" and "The Watcher" were two albums that were released in the nineties but flew under the radar and it appears that Alex prefers to dismiss those two releases as "unsuccessful efforts". In 1998 Alex Masi published the first album of a successful trilogy dedicated to three of the most famous classical musicians in history; the album is called "In The Name Of Bach". It was followed by "In The Name Of Mozart" and "In The Name Of Beethoven". Around the same time Alex Masi released his last Masi album "Eternal Struggle" which featured singer Kyle Michaels (Geezer Butler Band)and Paul Marangoni on drums. A highly acclaimed solo album called "Late Nights At Desert Rimrock" was released in 2006, this album features Alex Masi on guitar and bass and John Macaluso on drums More recently Alex Masi has resumed his collaboration with long time friend John Macaluso and Randy Coven (Steve Vai, Leslie West, Malmsteen) under the name MCM (Masi, Coven, Macaluso). The trio has released "Ritual Factory", their first studio album and more recently MCM, "1900 Hard Times", a live album. Alex Masi appears to have become very interested in Indian music and electronica in the recent years judging from some of the interviews he has given.